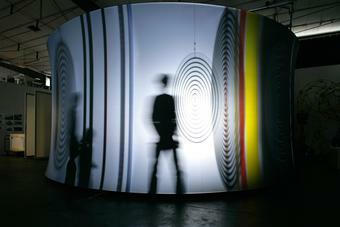 A circular screen, approximately seven metres in diameter, encloses a group of glass elements comprising discs, rings, and a square. 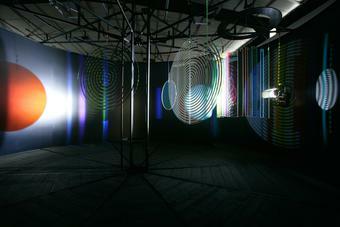 Suspended from a steel framework, each element rotates at a different speed. 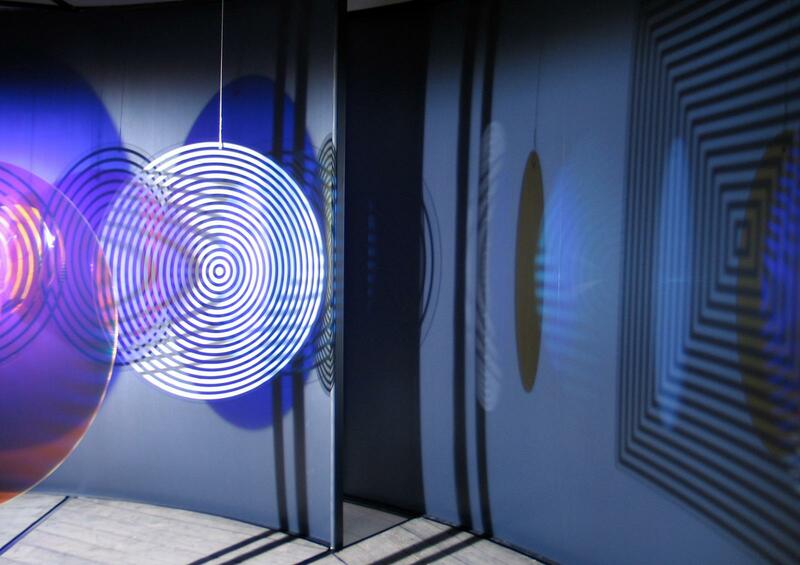 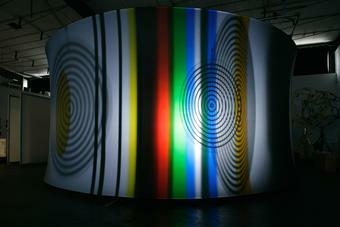 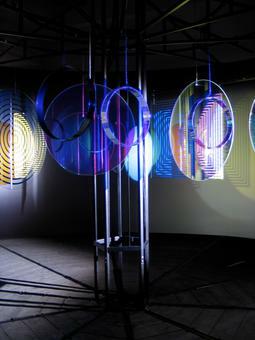 The square and three of the discs are patterned with concentric mirrored lines; the remaining discs and the rings are made of colour-effect filter glass. 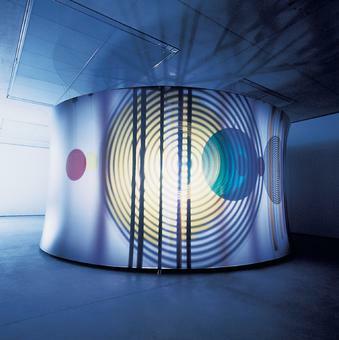 Light from a spotlight is reflected, obstructed, and filtered by the rotating glass forms to produce a complex interplay of reflections and shadows, which can be seen on both sides of the surrounding screen. 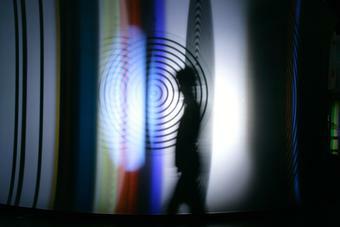 Also visible on the screen are the shadows of viewers walking among the rotating glass elements.